It’s snowing hard right now. There are about 3 new inches piling up. I had to wear ski goggles to work today. 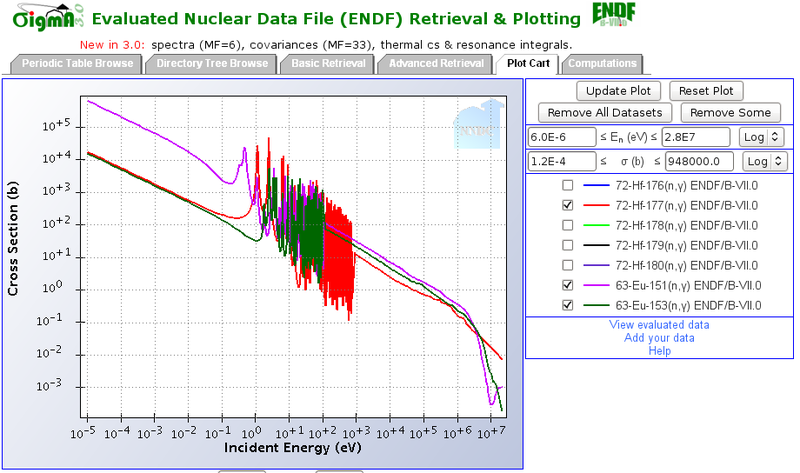 As for the Europium case, I’ll need to deal with the fission product MC2 template. It has Eu151 through Eu157 as FPs, which I know from experience with Hf will cause problems when I try to add in more Eu at the top of the input. The question is two-fold: 1. How much of the Eu chain would we like to model explicitly? and 2. Should we disregard Eu as a fission product if we use it as a BP? The answer to the second might be easiest. If we are loading in Eu, the amount we load will be significantly higher than the amoun that would build up from fission, so yes, it is a good approximation to ignore fission production. As for the first question, Eu-151 and 153 are naturally occurring and the others all have short half lives on the order of 5-10 years. I’ll start by modelling up to 154, with absorptions above that going to the lumped fission products. All beta decays will also go to lumped fission products that Gadolinium is a member of (LFP41). With that in mind, I’ll eliminate all Eu except 155 through 157 from the fission product list in mc2FP.template. The sfrCalc script is running nicely on the new VM MC**2 server. I’ve modified the templates to work with the Eurpium. Still working kinks out of sfrCalc script. Spent some time with 442 students and with Maru doing Origen stuff for Ewing’s class. The rebus run failed initially because the MC2 files had ZR I and FE I instead of ZIRCI and IRONI. I changed the table in the imd file for fuel-loading-eu in the templates folder to give the proper labels (t0 maintain compatibility with other templates I’ve used). 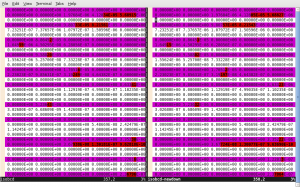 After regenerating the cross sections, rebus runs. Oddity: My nexenta distro has the wrong time. It will actually work. That’s excellent. This is nice. Here’s a nice cheat sheet for VIM. I’m using it to capitalize the first letter of each word in my bibtex.tex file. I’m sure the bibtex style can do this but I’m not bothering. UPDATE: I put double quotes around article and techreport titles, as discussed here. Also, fonts from my LyX install were really fuzzy when printed. I went into document settings and changed font family to Roman and set font to Latin Modern Roman and now the fonts don’t get fuzzy when you zoom in so I’ll assume they don’t get fuzzy on print either. Let’s hope not. I also just added a reCAPTCHA plugin to this blog. It works. My simpleCAPTCHA plugin wasn’t showing the image, nor was it even showing up in the plugin list. I renamed the simple-captcha folder in my plugins folder and now recaptcha is in charge. I need to call Jeff soon to tell him he’s publishing this. In case 1, the 0-th timestep jump parameter is negative, so we need to switch the sense of all search directions. Run.py can handle that now, with the N option, for “negative.” That’s revision 8 in the itd svn repository. Rerunning v6 case with proper sense. Let’s see if we can do better. With improper searching, we started at peaking factor 1.05038 and got to 1.04 by bp search, and to 1.039 by end of BDT. Lame. Uhh. I just spend 1.5 hours with MCNP crap for a student in my class. 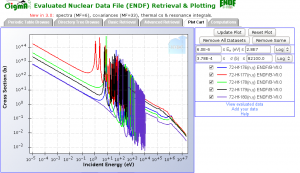 Why are we struggling with MCNP when we should be learning reactor analysis? Damn another hour with the class! These guys are killing me. 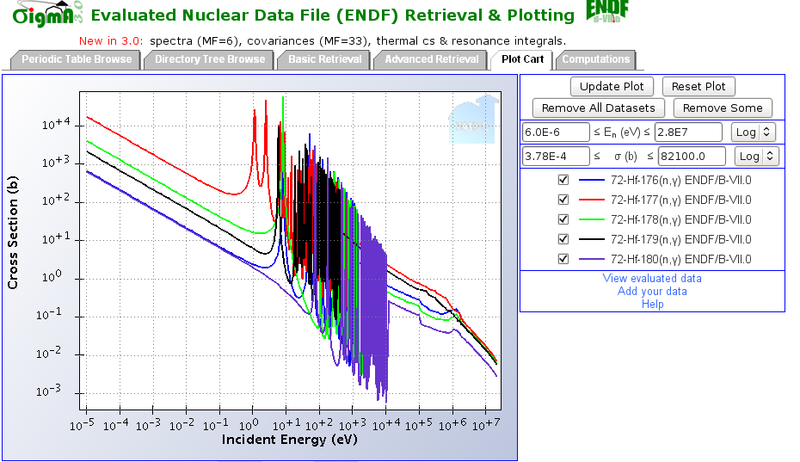 If you want to perform any kind of basic void coefficient, Doppler coefficient, or temperature coefficient of reactivity estimations in REBUS for fast reactors, you have to disable the criticality search. Here’s how. THE BURN STEP TIME IS 2.10483E+02 DAYS. Note the factor. You need to put it into your perturbed file. Make a new rebus and MC**2 case with the perturbations you wanted. Decrease the sodium density, decrease the fuel density, eject a control rod, whatever. In that new rebus input, go to the A.BURN card 4. You should see a 1.000 representing the desired k-eff at EOC. After that, there is a convergence criterion, probably set to 0.0001 or so. Change it to 1.000. This disables the criticality search. The last two numbers in that same line are the first and second guesses of the new enrichment modification factor. Change the first one to the factor noted from the previous output file. Keep in mind that you can only put this number between certain columns. Check the manual to see which ones. Be careful with this! If there is a burn cycle time search enabled as well, disable it in the same manner (on card 3 though) and insert the burn step time manually! Now criticality search is off and you’ve manually set the critical class 1 enrichment. You’re ready to run. Run your new rebus case and compare k-effs with those from the base case. If you change a density somewhere, make sure it changes in the cross section library calculation too! 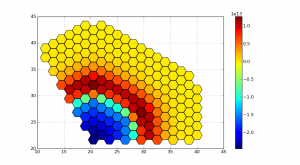 The energy self shielding can vary wildly with different densities. 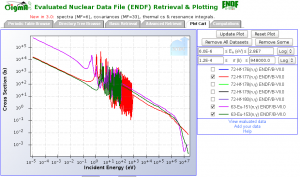 This method of calculating safety parameters should be taken with a grain of salt because it does not account for any anisotopies that you may see in real rod ejection accidents, etc. Diffusion theory is only an approximation of transport! Try using some perturbation theory codes like VARIANT if you want better results. OK. What else? The new line search behaved very well. 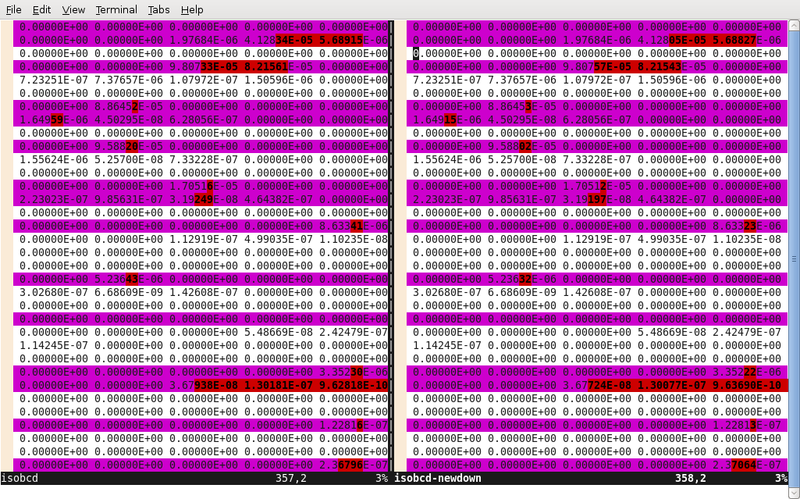 But in v5, the big case, the reactivity swings are all miniscule! 1.001 at BOC? Say what? Investigating. The core is breeding plutonium. It’s a breeder. Ah! Well the plenum had the wrong material, it looks like. I fixed it in the CORTANA input maker to agree nicely with the Hill cases of old and am now re-running just the first rebus case. This large case requires a very low guess of the enrichment modification factor. 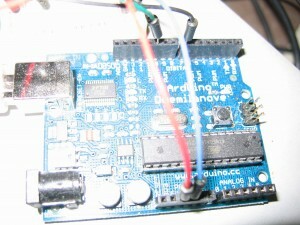 One of the digital pins on the Arduino is connected to a OneWire bus with three temperature sensors hooked up to it with a pull-down resistor connecting the bus to the 5V line. That’s the green wire. The ground is white ground. The three sensors are hooked up (in parasite power mode) to 30 feet of indoor/outdoor CAT-5 wire from Home Depot. I surrounded each temperature sensor with a piece of 3/8″ O.D. 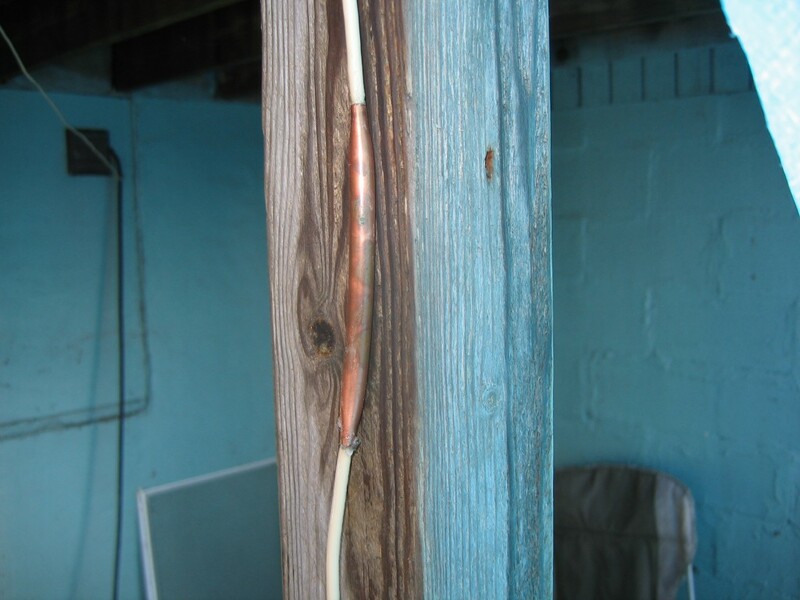 copper tubing (which is miraculously already corroding) and pinched them down and sealed them up with Silicone. Here’s a pic of the outdoor sensor. Anyway, yeah. The last sensor, the one on the tub, is wrapped in lots of insulation from the hardware store to try to keep the outdoor temperature from affecting the hot tub readings. Nice. I used a relay that can handle up to 30A, 240V, with a 12V coil. I got the 12V by splicing off of the hard drive power cable inside the computer (blue wire, with white blue as ground. That’s the same ground, but we didn’t want to tap into the fragile cat5 wire again). That’s unfortunate because it requires the computer be on to have the heater on. 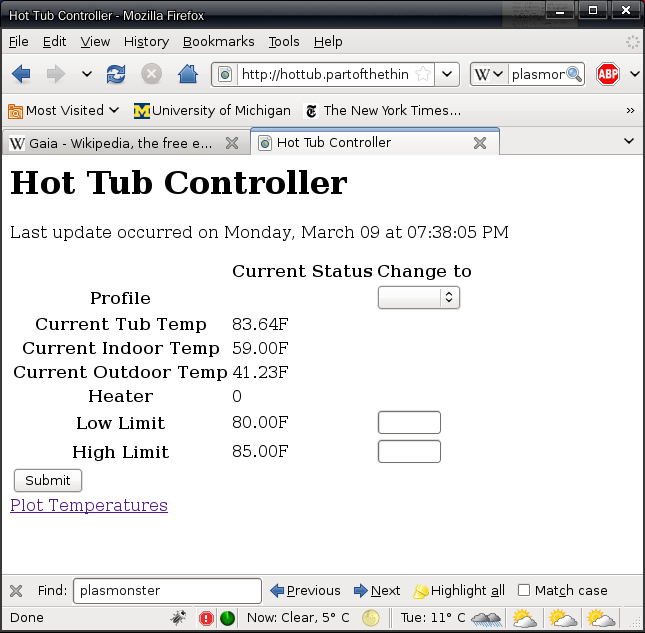 A better design would not rely on the computer to maintain control of the hot tub. 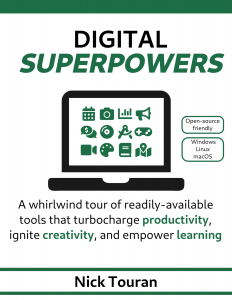 The rest of it is just software. I’m using the pySerial module to read and write to the USB tty device in 32-bit Ubuntu 8.10 Linux. 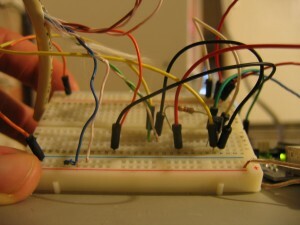 The code that I compiled on the Arduino chip simply accepts simple characters through the serial port and does as asked. It knows how to turn heater on, off, read temperatures, and tell whether or not the heater is on. I’ll build some safety logic in soon. Right now, all the control logic and communication is done in Python on the computer. I have an Arduino class that abstracts the commands the Arduino knows. Then there’s the hottubController class that checks the sensors and turns the heat on and off accordingly. It calls the communication class, that checks for commands in an IMAP email account, submits temperature information to a MySQL database on my server, and sends command responses via SMTP. The text messaging functionality works simply because you can easily use the text-to-email gateways used by many major phone companies. The MySQL stuff is done with the MySQLdb python module, which is fairly simple. Still to come: predictive hot tub times. 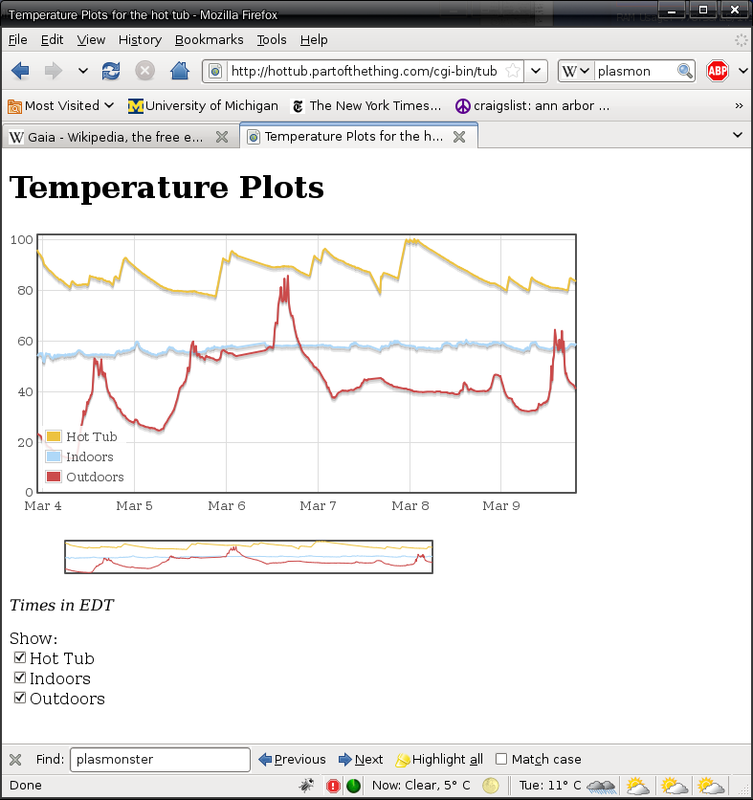 Since the heating is very linear, it’s possible to extrapolate the time at which the tub will reach a given temperature. You’ll get a text that says: “the hot tub will be ready at 10:37PM” How cool will that be at the bar? With all the copper, casings, arduino, sensors, relays, silicone, insulation, and various other tools I bought during this, it’s up to about $100, not including the computer. Not bad! 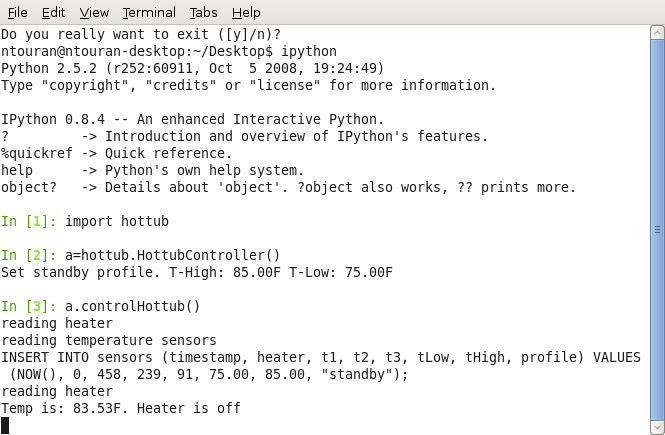 In case you’re wondering or debugging the hot tub controller, here are some more details. Here's what the arduino wires look like. Nothing special. Out at the hot tub, you’ll see a silver toggle switch. Under normal operation, this should be in the center position. To shut down special features and go back to plain-old hot tub, put the switch in the up position. 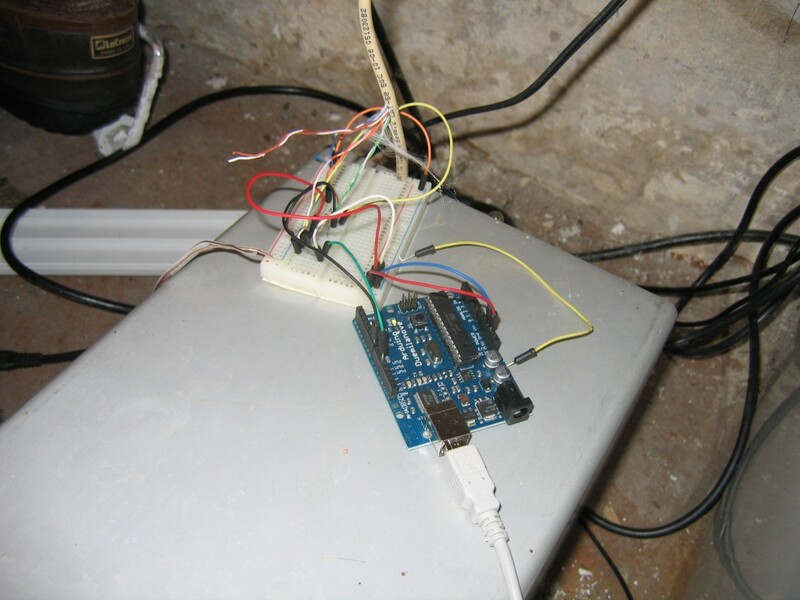 This gives control of the hot tub back to its internal thermostat. It also disables the 10 second heater delay relay.